In September 2018 Music Generation Wicklow appointed Tod Doyle as West Wicklow Co-ordinator. Based in Blessington three days a week, Tod supports the delivery of our music education programmes in primary and secondary schools in the region. He also runs a vibrant music Hub in Blessington Further Education Centre which caters for a wide variety of music making. Tod received an Honours degree from the University of Limerick and went on to work in various social sectors such as disability services, support work, school completion and music tutor before taking his post with Music Generation Wicklow. He had an interest in music from a young age and has toured with numerous bands in Ireland and abroad as a songwriter and drummer. 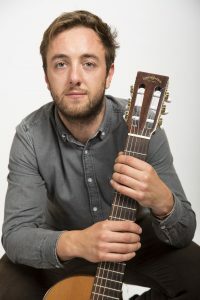 Tod also teaches acoustic guitars, drums and violin for Music Generation Wicklow and places a strong emphasis on the benefits that music education has on the well-being and development of young people.